The era of fossil fuels is quickly coming to an end, and all EU countries are taking action through legislative changes to meet commitments made at the 2015 Paris Accord Summit. In fact, researchers predict that fossil fuel usage will peak in 2020 only to drop drastically in the following decade. Despite Europe’s clean energy goals, foreign oil imports have increased by almost 30 percent over the last 18 years. In 2016 alone, an estimated 14,188,000 barrels were brought into the region per day. Therefore, in order to meet Paris accord targets, a well-planned and coordinated effort to find viable solutions that reduce greenhouse gas (GHG) emissions is essential. As a region often touted for its innovation and sustainable practices, Scandinavia is rising to the challenge by implementing ambitious clean energy goals. Becoming fossil fuel free within the next decade is now one of the region’s top priorities. Yet, to attain this goal, Scandinavian countries must choose from the different zero-emission technologies and ensure that the infrastructure to implement these solutions is ready or can be built to accommodate the expected demand. This consideration is especially evident for heavy duty vehicles including transit buses, which are currently significant contributors to a region’s GHG emissions. Transit agencies and operators must find zero-emission fuel sources to power their buses, while still maintaining the performance and service standards that transit riders expect. However, solar and wind power can't consistently provide for all energy needs. Periods of low wind hamper turbine performance, and darkness (a reality during winter in Northern climates) affects solar energy production. Therefore, the region needs a safe fuel storage source. 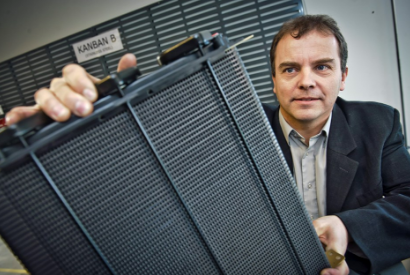 Hydrogen meets that requirement and is a highly efficient energy storage vessel. 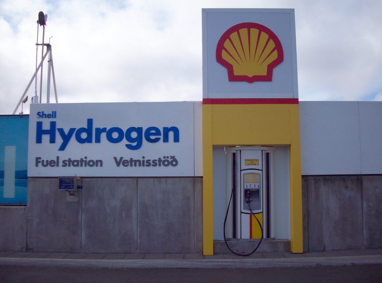 While the most widely used method of generating hydrogen is a process called reforming (that uses a natural gas), Scandinavia has started producing hydrogen from renewable energy. Its benefits have already been recognized by industry leaders in the automotive and energy distribution sectors, who have all been investing heavily in hydrogen solutions. Fueling stations for heavy duty vehicle fleets and buses have been in operation for many years providing hundreds of thousands of refillings to fuel cell electric buses worldwide. During the CHIC program, 1.2M kg of hydrogen has been refuelled with an average availability of 97%. However, one the barriers for a wider adoption of fuel cell electric buses has been the investment required for the hydrogen infrastructure, as well as the hydrogen price paid by bus operators. In countries like Denmark, excess of renewable electricity outside of peak demand is converted into hydrogen by electrolysis. 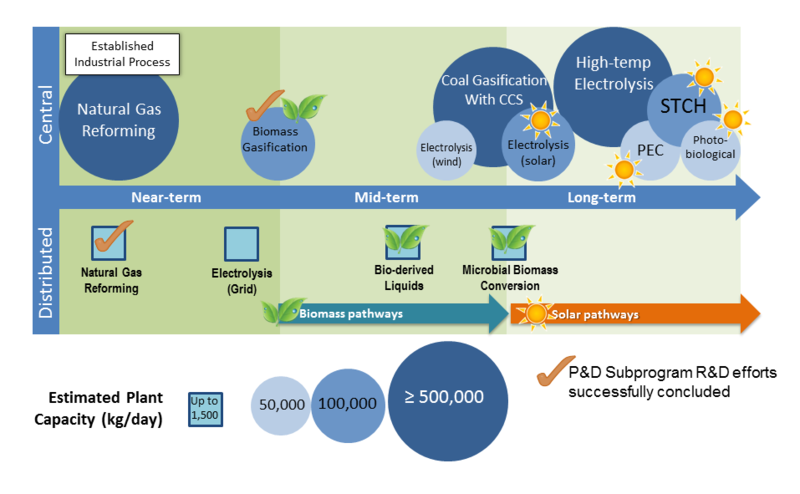 The hydrogen is stored energy ready to be used when needed. Large scale production of hydrogen from low cost renewable electricity enables cost parity with diesel for the bus operator. The latest generation of hydrogen stations offer fast refueling, compact footprint, high reliability and scalability to upgrade the station when the bus fleet expands over time. Companies like NEL Hydrogen provide bus operators with delivered hydrogen at a predetermined price dispensed at the pump, which includes the cost of the infrastructure, for a fixed period of time. This period may be as long as 10 years, which provides cost certainty for transit agencies. This means no investment in infrastructure for the bus operator and a target price that is in line with diesel parity. This is scenario is proving achievable in Scandinavia. Zero-emission buses operating just like conventional buses and fuel cost at parity with diesel without infrastructure investment is a real game changer for transit agencies. It is proving that we can eliminate fossil fuel powered buses from fleets without affecting availability and performance. At Ballard we believe hydrogen is an essential contributor to unlocking a fossil fuel free and zero-emissions future. What do you think? Let us know your opinions on the future of the world’s energy needs in the comments below. Discover why hydrogen fuel cell buses are the best zero-emission solution for Scandinavia's public transit. Learn more about Ballard's fuel cell-powered buses in demonstration globally in this free white paper.